January 19, 2019 - With the conclusion of Burning Hope we are one step closer to the 2019 Eternal World Championship, and two more players have earned an invitation to the main event. Congratulations to DarkestHour and trumpets for advancing to the next round, and to all those who qualified for the ECQ. For Jekk's Sake! Winchest reigns Fire was featured in every one of the Top Eight decks from the competition, with Winchest ( ) composing more than half of lists in both the finals and the tournament overall. Yet each of the winners built their list somewhat differently. All of the summaries here include a standout feature describing what sets each deck apart from the others. The winning deck forgoes Winchest Cargo in favor of a full playset of Seek Power. 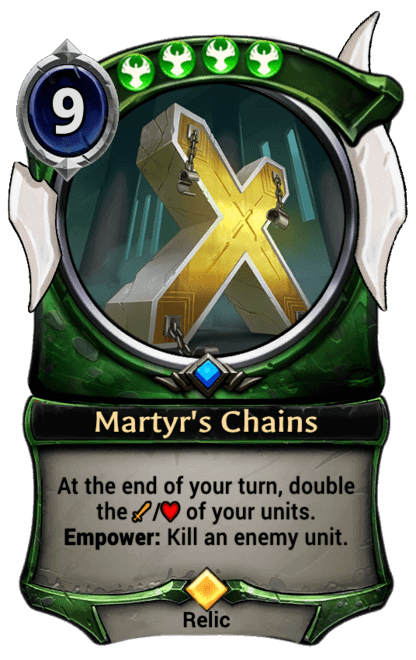 While DarkestHour misses out on the opporunity for new cards created by Winchest Contraband, this means they can more reliably reach the Power and Influence requirements for both Xo of the Endless Hoard (7 ) and Martyr's Chains(9 ). More importantly perhaps, both Seek Power and Lost Scroll (2 ) provide additional Power cards for the devastating Empower ability of Martyr's Chains. With Chains in play, Seek Power effectively becomes a 1-cost Slay as long as you have Sigils to draw. Standout feature: Does not include any cards that can not also be found in other Winchest lists from the Top Eight, but DarkestHour's is the only version to main deck a full set of Statuary Maiden. The absence of both Vicious Highwayman (4 ) and also Deepforged Plate (5 ) means that trumpets can go lighter on sources. This frees up space for six Justice Sigils, providing plenty of extra fuel for Telut, Queen's Hand (7 ). 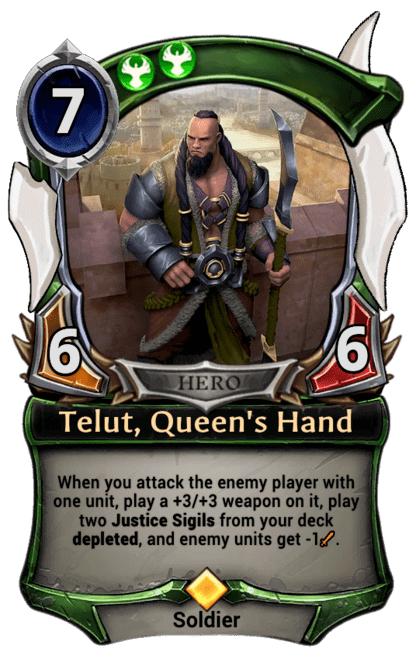 While powerful on its own, Telut's ability adds yet another Power playing effect to enable Martyr's Chains (9 ) — potentially allowing trumpets to take out two enemy units in a single turn for free. 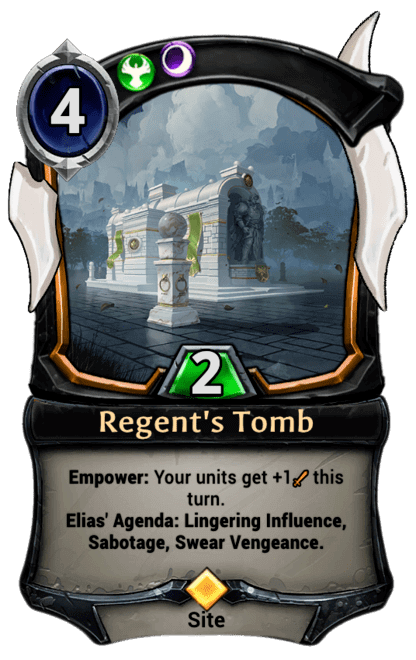 Standout features: With a total of 27 primary Power sources (Sigils, Seats and Crests) trumpets' is the only list in the Top Eight to include more than the minimum requirement of 25, and also the only deck that includes Telut, Queen's Hand. By omitting Martyr's Chains, the 3rd Place list has a slightly lower curve than the frontrunners, topping out with Xo of the Endless Hoard (7 ). Perhaps accordingly, xSTEALTHx cuts back on Power drawing spells — totalling six instead of the expected eight. 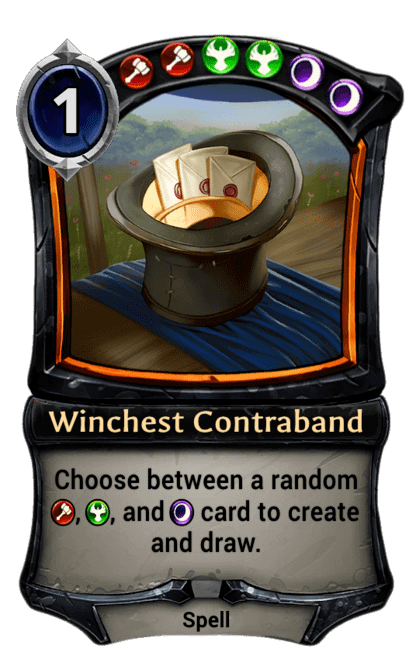 An even split between Seek Power and Lost Scroll (2 ) is included, along with two more conditional sources in the form of Winchest Cargo/Winchest Contraband. Standout feature: The only finishing list to include Harsh Rule (5 ) in the main deck, xSTEALTHx appropriately goes lighter on Units (21 total) and bigger on Auric Runehammer (4 ). Much lower to the ground than any of the other decks featured here, this list tops out at 3 Power in the main deck, for Whirling Duo (3 ), Red Canyon Smuggler (3 ) and Avigraft (3 )*. Meanwhile, more expensive cards are relegated to the Black Market, including a single Deepforged Plate (5 ) and one of Obliterate (5 ). 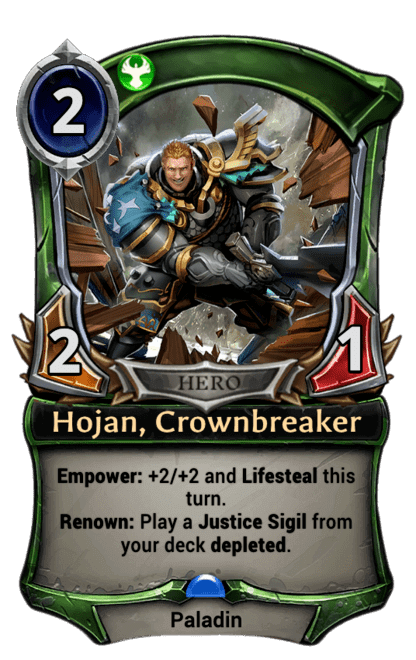 No less than seven Justice Sigils help to ensure that Hojan, Crownbreaker's (2 ) Renown ability reliably finds Power to draw without whiffing at any stage of the game. Even so, as a two-faction list with a low curve this deck has no trouble reaching its Power and Influence requirements. So it has room to include a pair of Shugo Standards, helping to advance the aggresive strategy. Standout feature: This deck really wants to play Units on Turns 1 and 2, so chriseay has built in total of 15 Undepleted Power sources, including the conditional Influence source Diplomatic Seal. 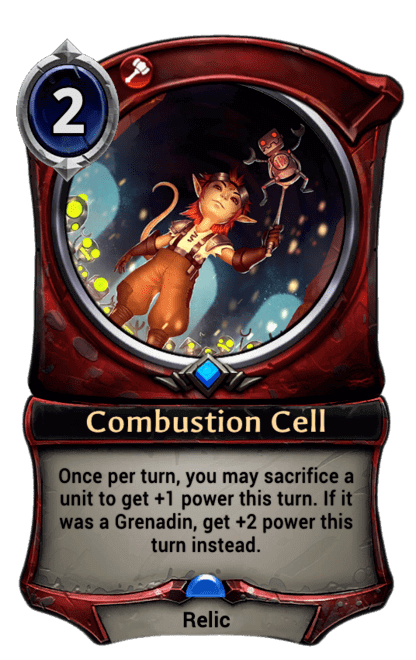 Fire is slightly prioritized over Primal to help ensure that an early Grenadin Drone (1 ) can reliably be played on Turn 1 going first, or a Torch (1 ) on the draw. As with the only other player piloting a 2 Faction deck in the Top Eight, _Kubi_ can expect to reach their Influence requirements quite comfortably on curve — in this case including even the steeper costs for Xo of the Endless Hoard (7 ) and Molot & Nakova (8 ). 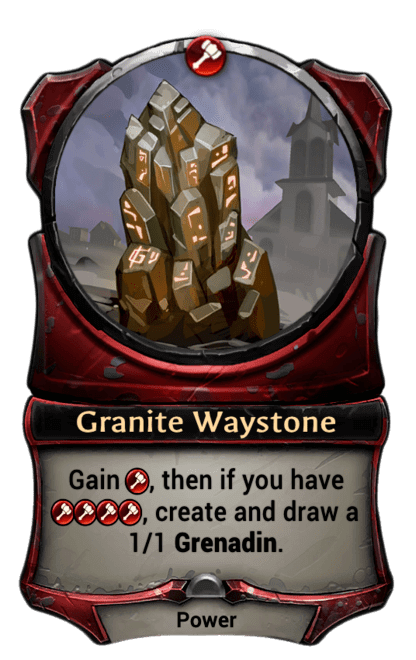 In a 2 Faction Fire deck there is usually very little downside to including a full playset of Granite Waystones as _Kubi_ does here. And in this case it makes even more sense, since combustible Grenadin are a central part of this deck's game plan. Standout feature: In addition to the cards already mentioned, when you also account for Kenna, Shaman of the Scale (7 ), _Kubi_'s deck includes more triple-Influence cards than any other featured here, underscoring the upside to being in less than 3 factions. Speaking of combustible Grenadin, disposable drones play a different but equally important role in this list. Paradox needs cheap Combust (1 ) targets and also backup Units for Bandit Queen's (4 ) charging Quickdraw attacks, so 4x Granite Waystone is a natural choice even though this 3-faction list has more demanding Influence requirements. Fortunately Diplomatic Seal is included to help meet the demands, providing Undepleted Power and early color fixing. Standout feature: Defiance introduced a powerful new tool for this archetype in the form of Secret Pasage (1 ), but otherwise the list has changed very little with Eternal's newest expansion. Paradox's deck includes fewer Set 5 cards than any other in the Top 8 &dash; just Secret Passage and one copy of Bloodlust (6 ) in the Market. 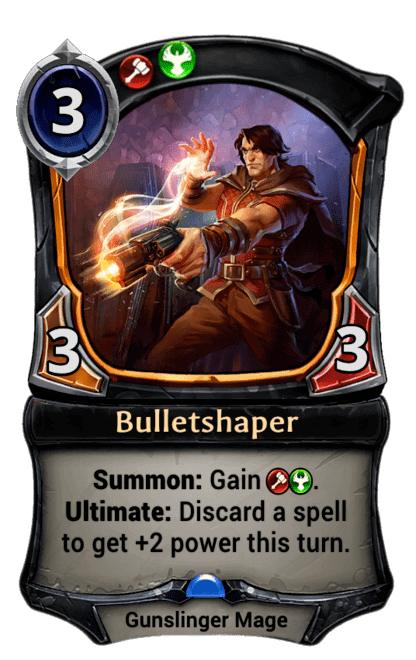 Justice is heavily favored in this take on Winchest midrange, which by far includes more Power and Influence sources than any other to be found here. Seven Justice Sigils are waiting to be drawn by Privilege of Rank (2 ), going hand-in-hand with Bulletshaper's(2 ) discard ability. With help from this duo, SunyVeil can confidently run 4x Winchest Cargo in favor of Seek Power. While Cargo's Transmute effect may make it less consistent, the Privilege/BulletShaper package make up the difference, and the potential downside is offset by the opportunities created with Winchest Contraband. Standout feature: In addition to the extra Power and Influence sources found here, every Crest available to the Winchest alliance is included — giving SunyVeil no less than 12 opportunites to Scout for the cards he needs. Taking a more Unit-based approach than any of the other Winchest decks seen here, this list goes lighter on Power draw spells to include role players such as Valkyrie Enforcer (2 ) and three of Vicious Highwayman (4 ) in the main deck. Although Xo of the Endless Hoard (7 ) can still be found at the top end, the extra 3-drops lower Sannd's curve, as does the absence of Martyr's Chains. Standout feature: The only Winchest deck in the Top 8 to prioritize Shadow over the other two factions in the Power base, most likely to reliably play Vicious Highwayman when it counts. The landscape for Eternal looks a lot different now that it did for Burning Hope following the most recent *balance changes. It remains to be seen what new archetypes will emerge - or what older ones may resurface - in response to the update. However it seems likely that Winchest midrange will continue to be part of the mix even as it may become less dominant.